Olga’s Russian Ballet School has been established in 2009 to provide serious, pre-professional performance opportunities for our young dancers and a showcase for their unique blend of classical and character dance. Ballet Dance it’s a very selective art where successful can be a very limited amount of people. We oriented on searching those talented kids who may be fit our criteria and will have a chance to become a professional ballet dancer and work in professional dance companies worldwide. Some of students who will showcase their talent on stage also attend music schools and study the arts. Some of the most talented students of Olga’s Ballet School are competing every year to Youth American Grand Prix in the United States. The competition is open to dance students ages 9-19 years old .This contest is the world's largest student ballet scholarship competition that awards more than $250,000 in scholarships to the top dance schools in the world. For the very first time in the El Paso’s history our little ballerina Lauren Gonzalez won the Hope Award and Ms. Olga Balbocean were the only one who received the Outstanding Teacher Award at the Youth America Grand Prix semifinal ballet competition in Dallas in January 2014. Lauren has been invited to perform in Grand Final of Youth America Grand Prix in New York. In 2016 five young students from Olga’s Russian Ballet School has been competed in Austin, Dallas in Youth America Grand Prix. Three of them was placed in Top 12 (Isabela Davalos , Grace Newell , Lauren Gonzales). In the beginning of 2016 year Ms. Olga has been invited to New York to conduct audition on behalf of the Bolshoi Ballet Academy. The Bolshoi Ballet Academy is represented by Russian-American Foundation. Students in Olga’s School range from age three through adult ages. For those interested in pursuing dance careers or those for whom classical training is an end in itself Olga’s Russian Ballet School offers excellent ballet instruction in a warm and friendly environment. Attention is given to develop each child’s discipline by focusing on its strength and talent. The details oriented training students receive perfects their posture and poise. Attention to parents and guardians. We are looking for talented kids who can become a good ballet dancers in their future. If you discover some talent in your child related to music or any other kind of arts and if you think your child will love what we do, don’t miss this opportunity to bring your child to audition at Olga’s Ballet School to get a chance to be accepted and to receive high quality tuition for pre-professional ballet training at this ballet school in future. 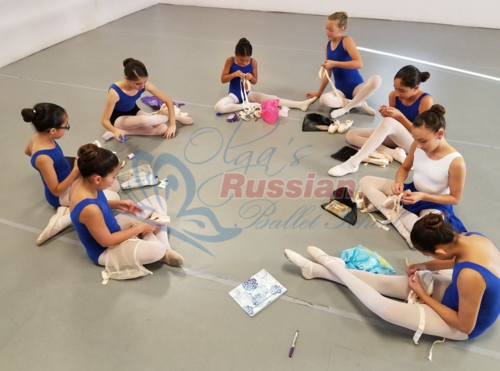 In addition to classes your child will have the opportunities to participate in Olga’s Russian Ballet School productions (together with professional dancers from different countries) and may be seen by wide range of audiences.